Home » humour , tags » Senseless Tag! Naah... that Villa isn't mine... one of my neighbors'. Although I can buy one now... I'm at level 34. 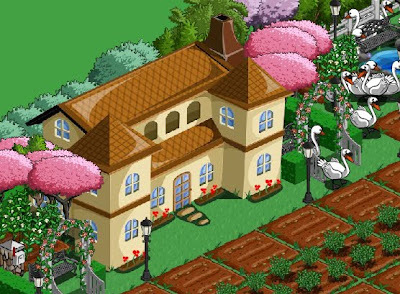 Have to redo my Farm first, so it looks worthy of something so gorgeous! Nothing to look forward to in the game after this really! Ohhh tht vialla was superbb yaar.. i still hav a small house :( god knows wen i'l buy tht one ..
Hey, I bought that Villa finally! Will post its pic real soon! Same to u dear! Hope u had fun! Mangoose below ur balcony? God..where do u live? I stay next to one of the busiest crossroads in the city... there's traffic all around till past midnight! God knows where those mongoose came from!